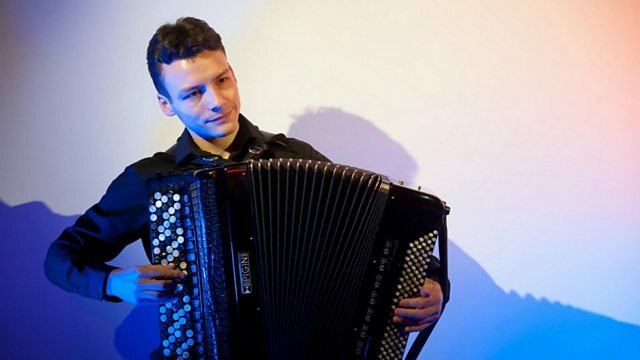 Jamie MacDougall presents the best in classical music with live music in the studio from classical accordion player, Miloš Milivojević and tracks from The Calidore Quartet. In 27 Pieces: The Hilary Hahn Encores. Performer: Jian Wang. Performer: Göran Söllscher. Music Arranger: Göran Söllscher. Monteverdi: Il Ritorno d'Ulisse In Patria. Performer: Barry Tuckwell. Orchestra: London Symphony Orchestra. Conductor: Peter Maag. Performer: Vadim Repin. Orchestra: London Philharmonic Orchestra. Conductor: Alexander Lazarev. Prokofiev: Violin Concerto No 1 / Symphony No 3.